New Research Shows That Your Body Is Exposed To Over 80,000 Known Toxins Every Day -- How Are You Going to Protect Yourself? Did you know that new research shows that your body is exposed to over 80,000 known toxins every day? Pure Body is a body and digestive detox that uses the mineral zeolite to cleanse toxins and pollutants. * Now you can experience all of the amazing benefits of this heavy-metal-trapping mineral in a convenient and easy-to-use dropper —so you can make room for healthy in your life! Who Can Benefit From Pure Body? Here's Why Others Are Raving About Pure Body! Try out Pure Body today and you'll find that Touchstone Essentials' products are unlike any other set of supplements on the market today. You'll discover that we have the only detoxifying zeolite product on the market created with our proprietary sound wave technology used to perfectly size zeolite particles for maximum absorption. These particles can effortlessly cleanse your body... unlike the raw zeolite products you might find that are still much too large to effectively cleanse your system. You'll never have to worry about dangerous side effects with our Pure Body that is 100% natural, non-toxic, and completely safe for long-term use. That's what makes Pure Body so easy and convenient to use! P.S. At any time, and for any reason, if you feel like Pure Body didn’t deliver what I’m promising now, just email us at support@thegoodinside.com, or call my friendly staff at (919) 900-4300 and we’ll give you a complete refund. If you aren’t happy, I don’t think we deserve your money. And you won’t have to wait either. 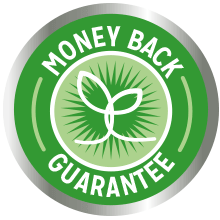 As soon as we receive your returned bottle along with your refund request, we’ll refund your money right away. All I ask is that you first give this product the chance it deserves.